From home base in Ohio, Kenn writes: Last weekend, Kim was posting updates while I was away in Massachusetts promoting shade-grown coffee. She promised that I would provide more info on that, so I’m here to make an honest woman out of her. 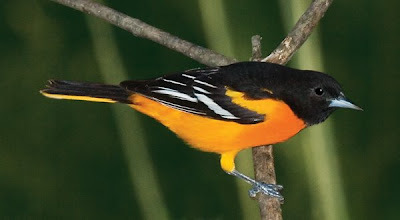 If you read Bird Watcher’s Digest (and you should! ), you may have seen my column in the Jan / Feb 2009 issue, talking about coffee. To recount it briefly: as a birder in my early twenties, I spent a lot of time birding in Mexico in winter, and I soon found that coffee plantations were great birding spots. These were farms growing coffee the traditional way, in deep shade. The growers (usually family groups or villages) would clear out the undergrowth in native forest and plant coffee bushes, tending to their crops by hand. My friends and I found that such spots were full of birds, both local tropical species and many migrants from the north. 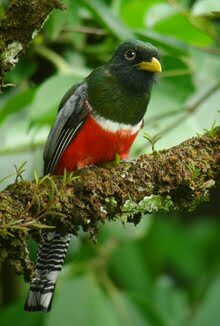 All winter I could enjoy birds from "back home" spending the season in the shade-coffee plantations. A few years later I made a shocking and depressing discovery: there was a strain of coffee that could be grown in full sun, and it was rapidly replacing traditional shade coffee all over Latin America. The old shaded plantations, with their abundant birdlife, were being replaced by sterile "factory farms" of coffee growing in the glaring sun. Sun-coffee farms supported essentially no birds at all, they were subject to major soil erosion, and they required lots of fertilizers and pesticides to keep them going. And the disappearance of the shade-coffee plantations was a disaster for wintering populations of North American nesting birds. Some people have been working on this issue for years. Careful studies in Mexico, Central America, and the Caribbean have documented the value of shade-coffee plantations for birdlife. And a number of scientists and conservationists have been trying to convince birders to demand shade-grown coffee. There are good reasons for supporting shade coffee; it usually provides better working conditions for the farmers (cooler shade, fewer chemicals), it’s a premium product that tastes better so it should be possible to sell it at a higher price, and of course it protects bird populations. By now, many birders have at least vaguely heard about the concept. Unfortunately, some companies have jumped on just the edge of the bandwagon -- but only to the extent of marketing, not genuinely working to guarantee the sources of their coffee. So birders may buy a product that claims to be "shade-grown" but really isn’t. There are different levels of shade, after all, and the term may be slapped on any coffee that was grown in the sun with a few trees nearby. 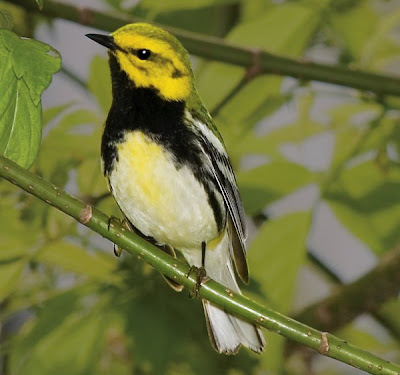 To address this problem, scientist / conservationists at the Smithsonian Migratory Bird Center (SMBC) have developed criteria for certifying truly "Bird-Friendly" coffee. The SMBC standards are quite stringent, and any farm that meets these criteria will support birds, and people, too: these are almost automatically organic and fair-trade farms as well. SMBC certification is the gold standard for genuine shade-grown, Bird-Friendly coffee. But SMBC-certified coffee is still not easy to find, because birders haven’t been demanding it. That’s where we come in. 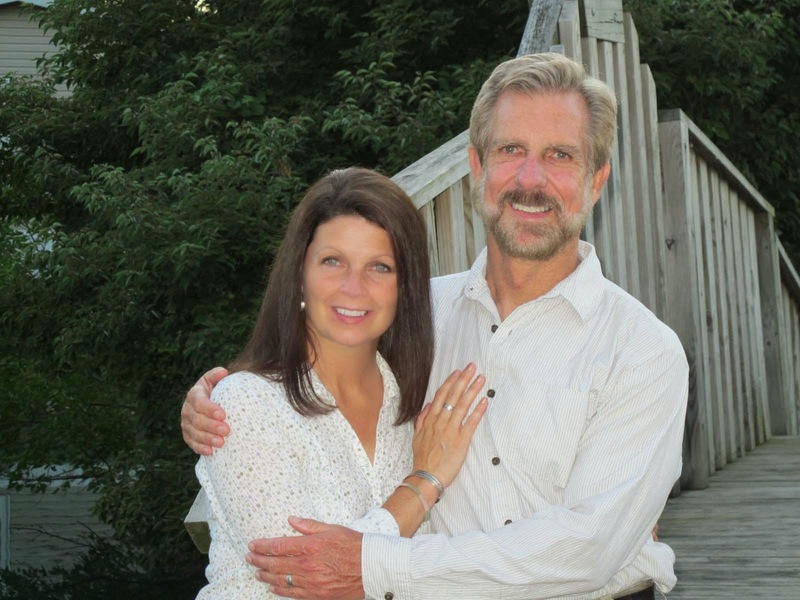 Our good friend Scott Weidensaul, the great nature writer (Living on the Wind, Return to Wild America, and two dozen other books) put me in touch with Bill Wilson, a marketing genius who is determined to make a difference for bird conservation. Wilson has started a company called Birds & Beans (as in coffee beans). Three artisan coffee roasters are now working with Birds & Beans, and are being supplied only by SMBC-certified Bird-Friendly plantations. Scott Weidensaul and I are helping to get the word out, and so is Dr. Bridget Stutchbury, who is a professor at York University, a leading researcher on bird migration, and author of the wonderful book Silence of the Songbirds. Ultimately the goal is to create more demand for the certified Bird-Friendly coffee so that farmers growing the right thing will be able to maintain these quality shade plantations and will be able to support their families. We in turn will benefit by having populations of migrant birds coming back each spring from these safe wintering havens. I’m no businessperson, but I understand how all these things are connected. If birders in the U.S. and Canada will insist on Bird-Friendly coffee, we can actually shift the market in a way that will protect bird habitat. Please check out the website for Birds & Beans: https://birdsandbeans.com/index.html Even if you’re not a coffee drinker yourself, think of all your coffee-drinking birding friends who would appreciate such a thoughtful gift, and think of all the birds that would appreciate it also! Kenn, I appreciate this information and will spread the word. I will be more more mindful of the coffee I buy, making sure it surely IS certified shade-grown. Sometimes $$ is tight and it's difficult to spend the extra, but the cause is worthy. Thank you and Kim for making this effort. Thank you so much for this post. I had read your column in Bird Watcher's Digest with great interest. Having just returned from birding shade-grown coffee plantations in Honduras, I was floored by the number of old N.A. migrant friends I met there. I'm searching for an answer to why shade coffee plantations seem to be preferred by N.A. migrants: i.e., you see mostly migrants in them; not so many resident birds. Any idea? I searched SMBC's site but found no answers. Thanks for the comment, KaHolly, I know what you mean about spending extra for the luxury of certified Bird-Friendly coffee, but we just tell ourselves it will result in our seeing more birds next year. Julie, you make a good point about migrants vs resident birds in the shade-coffee plantations; I've seen the same thing in some parts of Mexico and Costa Rica. 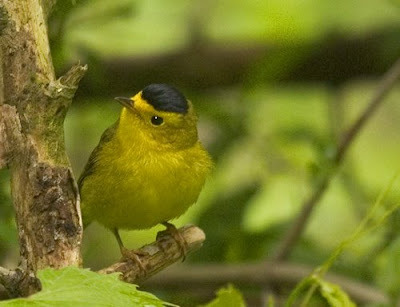 It may be related to the prevalence of migrants in forest-edge situations. Maybe they're excluded by competition from the richer forest-interior sites. Dawn, thanks for the link on twitter and chirptracker! And thanks for the mention of bird-friendly wine. We had the honor of meeting Nick Papadopoulos, who runs Burning Hawk Wine, a few months ago, and his story is definitely worth sharing. Thanks for this, and the article in BWD. A few years ago I put together a birding tour for Field Guides called "Shade Grown Birding" in Guatemala, so I entirely appreciate the opportunities to make a difference for birds, people, and even business that this provides. What I wonder about though is why we birders seem to focus on coffee and we don't blow the whole bird friendly "whatever" to another level. I am thinking of chocolate/cocoa, maple syrup, yerba mate if you are from the Southern Cone of South America, etc. There are probably many, many other products where we could be shopping with the birds in mind. Maple Syrup seems to be an obvious one. Wild caught Salmon is another, healthy salmon rivers mean there is clean water, riparian habitat shading the streams...essentially bird habitat. So the question to ask ourselves, is why stop at coffee? Hey Kenn, as I have posted before, I am so excited that you are pushing this issue to light! For the past year I have been drinking responsible coffee and trying to get others to do so as well. I have recently joined the board of my local Audubon Society and have also been appointed Conservation Chair! With this in mind, I am trying to figure out how to use this position to raise awareness and would like to do a campaign to sell shade-grown coffee. Something like "Let's Drink to the Birds"... (just a thought) with a mission to sell 1,000 bags of coffee as an initial 2009 goal. I would like to find a contact to help market this idea in a "fundraising" format that would be willing to put their product in a brochure for specifically for those who want to lead the charge in selling and getting the word out. Just like a school fundraiser, we would be selling shade-grown coffee. What do you think? Any ideas? I think it could provoke allot of participation. This is all fresh news to me. I'm really glad you posted this. I've been drinking organic free trade coffee, but I have been ignorant to the bird issue. Thank you also for the link to the birds and beans website. I'll head back over to that site to see if they have a little icon or something that I can use for a link image on my blog. I'll probably link to this article as well, if that is OK with you. Thanks for spreading the word. I have been making an effort to purchase only fair trade, shade grown coffee for the past year and wold love to see it more readily available in grocery stores in Canada.Perhaps a lobbying effort by the ABA and Cornell et al directed towards the major grocery chains in both Canada and the States would help.Thanks for all you're doing as well. A careful perusal of Trader Joe's Easton OH store revealed gobs of brands of fair-trade coffee, a subset of which were organic. But only ONE bird friendly, shade-grown brand. Yikes. If Trader Joe's, bastion of all good and politically correct and delicious things, carries only one bird-friendly, shade-grown brand, what are we to expect from Kroger, Giant Eagle and Piggly-Wiggly? There is much work to do. I plan to help get the word out. Such a culture shock to go from Trader Joe's to the Marietta grocery stores. And I also went to Whole Foods today, but was too dazzled by the abundance and deliciousness of their offerings to check the coffee section. Darn! Thank you for being a voice for the birds. Looking forward to meeting you in Saratoga! Just finished reading Bridget Stutchbury's "Silence of the Songbirds" and "The Private Lives of Birds" -- and for that reason, thanks for mentioning Birds&Beans - am hoping to get Smithsonian Bird-Friendly certified beans out here on the west coast!